Old Virginian style, with hickory taste and a full rounded flavor. It can only get better with a little bit of sweet cured bacon! 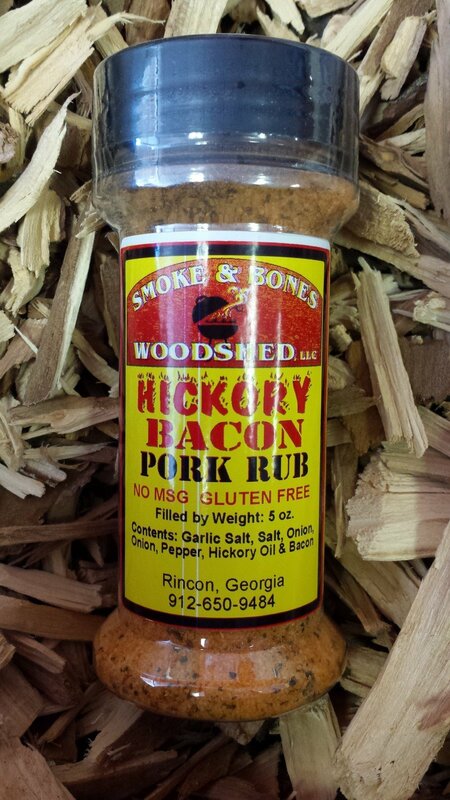 It is the best blend for pork that you will ever find. Great for pork chops, pork roast, also wonderful on ribs, and turkey. We love this sprinkled on fresh green beans and it's a great seasoning for split pea soup and popcorn too!. Ingredients: sugar, garlic salt, onion, black pepper, hickory, bacon, and paprika. No MSG!